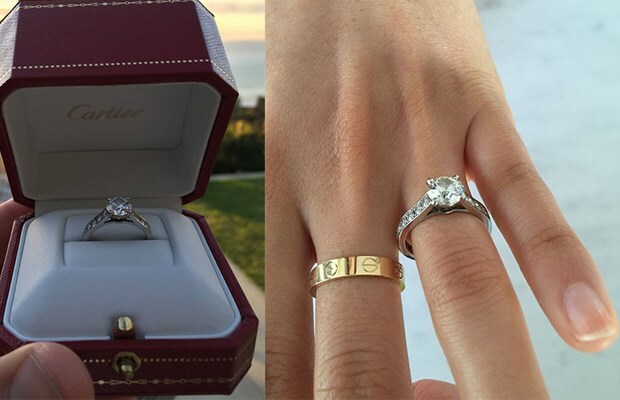 Pictured, 1.23 carat Cartier $33,000 engagement ring ($22 180 USD) one Sydney, Australia man is trying to offload. $33,000 engagement ring becomes a deal breaker after Sydney man catches cheating fiance as he now looks to offload his bad investment. A Sydney, Australia man has told he is trying to sell a $33, 000 engagement ring after discovering his fiance was sleeping with her ex a week after proposing. The unnamed man according to a report via the dailymail said that the 1.23 carat Cartier $33 000 engagement ring ($22 180 USD) was only worn for a week (will that put you off ladies?) before splitting with the cheating woman. Since the outing, the man has told of trying to sell the jewelry in a Facebook group dedicated to designer goods. Whether the man has had any bids is yet to be necessarily understood. In his posting, the jilted man described the untimely sale as a ‘regretful sale’ nevertheless was hopeful someone would purchase the nearly new solitaire diamond ring with a diamond band for $28, 800, $5000 less than what he paid for it in September. Which raises the awkward question, how did one man end up getting himself engaged to a woman only to have her go back to her former partner barely a week later? Or did she ever leave her former/present partner? Or was he just to busy being ‘in love‘ to barely notice? Numerous commenters gave their condolences to the man, while several women asked if he came with the ring or proposed marriage. Others tagged their partners in the social media post – a not so subtle hint that they themselves would like to be engaged. The expensive ring comes with the original Cartier packaging, receipts and certificates. Not necessarily understood is how the jilted Sydney man came to meet their new love so soon and why for that matter he hasn’t popped her the question yet? Unless of course his waiting to recoup on his previous ‘bad investment’ before moving on to his latest love prize ….